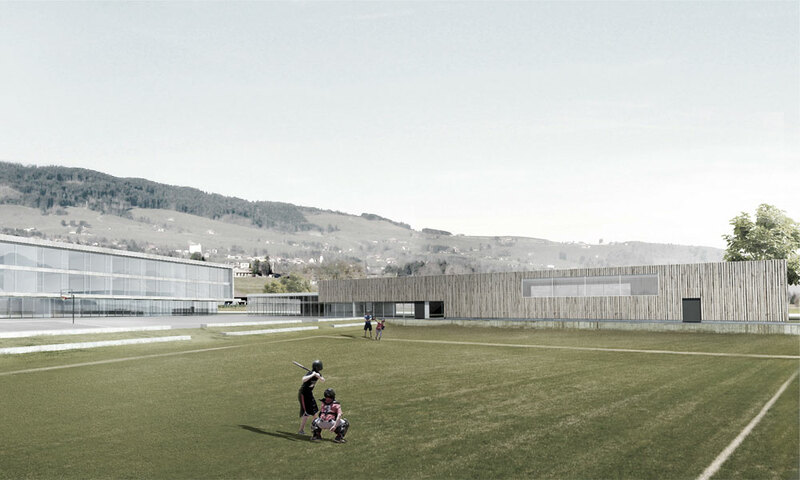 The project for the Professional School of Riaz, presents itself as a new teaching center for the district of Gruyère, able to respond to the continued growth of the school population in the region. Recognizable architecture, integration with the context, typological clarity and functional quality are the basis of the design solution. 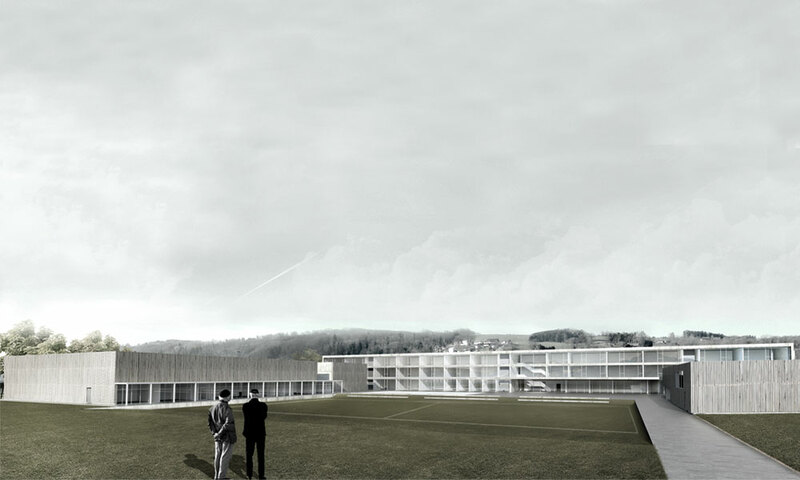 The project is composed of three pure volumes inserted into the landscape of the surrounding valley; the arrangement of the external elements is a courtyard that opens onto the town and is impervious to the highway ensuring an open space surrounded and protected from noise, this space includes both the courtyard and playground. 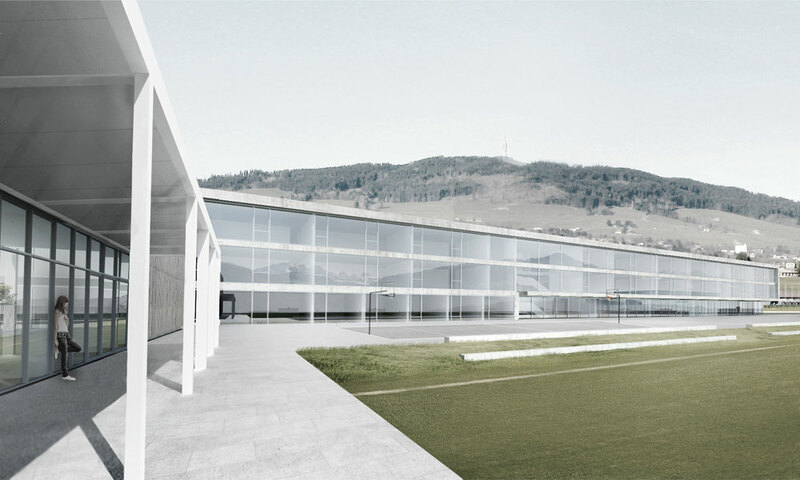 Each volume contains several functions -the School, the Auditorium-Refectory and the Pool – and their separation allows, to the last two functions, their use also outside of school hours to offer a service for the whole community. This three parts of the project are related through passages and external accesses in order to combine the needs of users, reducing operating costs, the effectiveness of functional spaces with the idea of sustainable design and an energy efficient building.